"before IDEA, our schools almost always segregated kids with disabilities from kids without disabilities. Now, however, our nation has legislation that requires all pupils to have equal access to education. As a result, increasing numbers of kids with disabilities are being integrated into regular education classrooms. Under IDEA, pupils with disabilities are guaranteed services in the least restrictive environment." (p. XV). One disability that is becoming more prevalent is Aspergers. Asperger's Disorder or Aspergers (AS) is defined by the Diagnostic and Statistical Manual of Mental Disorders Fourth Edition (2000) as, "The essential features of Aspergers are severe and sustained impairment in social interaction and the development of restricted, repetitive patterns of behavior, interests, and activities. This disturbance must cause clinically significant impairment in social, occupational, or other important areas of functioning. In contrast to Autistic Disorder, there are no clinically significant delays or deviance in language acquisition (e.g., single non-echoed words are communicatively by age 2 years, and spontaneous communicative phrases are used by age 3 years), although more subtle aspects of social communication (e.g., typical give-and-take in conversation) may be affected." (p. 80). Although this legislation is necessary and does protect a youngster's rights to the best public education possible, it poses a challenge for educators. With classroom enrollment limits rising, teachers are spread thin. Inclusion laws require educators to instruct kids at many different places developmentally. In addition to being in different places, the addition of kids with learning disabilities such as Asperger's requires the instructor to use a variety of teaching strategies in order to reach each individual. According to Cumine, Leach and Stevenson (1998), many teachers feel they have not received training to instruct kids with these kinds of learning disabilities. Additionally, Strosnider, Lyon, & Gartland (1997) express the pressure regular education instructors feel to carry out educational plans. The authors address the issues of the scarcity of time to collaborate and the shortage of special education instructors. These difficulties magnify the fact regular education instructors are ultimately responsible for implementing strategies in the classroom. The review of the literature will explore strategies of instruction valuable for educators who are not familiar with AS pupils and their special needs. In reviewing the significant research related to ASPERGERS it is necessary to clarify that, although ASPERGERS differs from Autism in regards to language acquisition and early cognitive development, they do have similarities. These similarities in the areas of social impairment, impairment in reading social non-verbal language, inflexibility, and persistent preoccupation allow for some of the research involving teaching strategies for Autistic pupils to be applied to ASPERGERS pupils as well. Both qualitative and quantitative research has been conducted regarding ASPERGERS. For the purpose of clarity, the literature review will be categorized. The categories will include the theories associated with ASPERGERS, strategies for curriculum education, and strategies for social education. There are several theories associated with ASPERGERS. The predominant premise is the Behaviorist Theory. "By means of relatively few basic concepts, the behavioral perspective attempts to explain the acquisition, modification, and extinction of nearly all types of behavior. Maladaptive behavior is viewed as essentially the result of (1) a failure to learn necessary adaptive behaviors or competencies, such as how to establish satisfying personal relationships, and/or (2) the learning of ineffective or maladaptive responses." (Butcher, Mineka, & Hooley, 2004, p. 82). The first explanation for maladaptive behavior fits ASPERGERS pupils particularly well. ASPERGERS individuals are impaired socially and often do not detect social clues. It is common for them to be unaware that someone is irritated if the only clue is a frustrated facial expression. If they miss a social clue then they miss the lesson associated with the experience. They will likely repeat the irritating behavior because they are unaware of its effects. The idea of reinforcement is useful with individuals with ASPERGERS. Dr. Bryna Siegel (1996) states that, "Although autistic kids have difficulty figuring out most principles of human interaction, they are usually pretty astute about cause-and-effect principles, especially in instrumental contexts." (p.232). This indicates that although a pupil with ASPERGERS might be unaware of another individual's desires or emotions he or she is aware of his/hers. This can be useful in education if the instructor takes the time to ascertain what is pleasing to the youngster. Once this pleasure has been determined the teacher can request the desired behavior and reinforce the behavior with the object of desire. A further teaching technique that finds its roots in behavioral conditioning is the implementation of applied behavior analysis and discrete trial training (ABA/DTT). Siegel, describes ABA/DTT as "a science that studies how principles of behavioral conditioning can be applied to learning. Discrete trial training is a method of training that is consistent with the principles of applied behavior analysis." (Siegel, 2003, p. 312). Siegel explains the design of DTT suggests learning can be broken down into small steps, building upon each other, and ultimately leading to the overall concept. ABA/DTT is highly recommended for pupils with Autism. The principles of the strategy are affective for ASPERGERS pupils as well. Shore's (2002) research explains the difficulties ASPERGERS pupils have with sensory perception. It is problematical for these pupils to sort through the different stimulus occurring throughout the school day. Applying ABA/DTT allows the pupil to focus on smaller quantities of information and possibly the opportunity to complete an assignment rather than becoming overwhelmed. Understanding the theories associated with ASPERGERS aids in the appropriate evaluation of the pupil but specific strategies are still necessary for instruction. Initially it is necessary to understand the nature of the ASPERGERS pupil in regards to curriculum education. Safran (2002) indicates many of the characteristics of ASPERGERS can be "masked" by "average to above average IQ scores." (p. 284). This can result in the ASPERGERS being misunderstood by instructors. Safran (2002) explains that adults often presume the pupil is capable of more than is being produced. Lack of understanding of the ASPERGERS pupil in this way can significantly impede the desire of the instructor to search for strategies useful in overcoming the hindrances caused by the disability. Another misunderstanding is the relationship between curriculum and social education. For example, a youngster with ASPERGERS might find a social setting overwhelming and distracting. If kids are placed in a small group for project work this might predominantly become a social setting to an ASPERGERS pupil. It is possible the pupil would be so over stimulated by the social aspect that it would be extremely challenging to focus on the curriculum aspect of the group. Strosnider, et al., (1997) recognize this overlap between curriculum and social education. The researchers suggest that when considering modifications the most important aspect is considering all the elements involved in public education and not just deciding which area to modify. These authors propose that three areas effect education. The areas in review are academic, physical and interpersonal. These are all areas of difficulty for the ASPERGERS pupil. Strosnider, et al., (1997) compiled The Academic, Physical and Interpersonal Inclusion Plan (API Inclusion Plan). This plan assists the regular education instructor in brainstorming strategies for each of the three mentioned areas of education. This is particularly useful when considering the potential unavailability of a special education instructor for collaboration purposes. The overlap between social and curriculum education is also expressed by Bashe and Kirby (2001). They report, "if asked to design an environment specifically geared to stress a person with ASPERGERS, you would probably come up with something that looked a lot like a school. You would want an overwhelming number of peers; periods of tightly structured time alternating with periods lacking any structure; regular helpings of irritating noise from bells, schoolmates, band practice, alarms, and crowded, cavernous spaces; countless distractions; a dozen or so daily transitions with a few surprises thrown in now and then; and finally, the piece de resistance: regularly scheduled tours into what can only be described as socialization hell (a.k.a. recess, lunch, gym, and the bus ride to and from school). It's a wonder that so many kids with ASPERGERS manage to do so well." (p. 365). All of these types of stressors must be taken into consideration when evaluating what types of strategies will be beneficial to the ASPERGERS youngster. Kluth (2003) addresses the idea that the learning environment is itself a strategy. In creating the right environment Kluth (2003) suggests one aspect to be considered is that of sounds. This researcher uses the familiar example of nails on a chalk board. Just imagining it can send a chill down the spine. Kluth (2003) explains that to a youngster with ASPERGERS every day sounds can have a similar affect. Kluth (2003) advocates the important of an instructor taking inventory to determine sounds difficult for the pupil to listen to. Also offered is the solution of allowing the pupil to listen to soft music with headsets during class times including excessive noise. Earplugs are another solution suggested. Williams (2001) supports the proposal of Kluth. According to Williams (2001), minimizing the stress and worry ASPERGERS pupils face is crucial to education. The researcher offers the notion of minimizing transitions and insuring the environment is predictable to the pupil. When there are changes in the routine, it is recommended the pupil be prepped ahead of time so excessive anxiety will not arise. In addition to alleviating stress, the researcher notes that frequent changes in routines make it difficult for the pupil to focus on the curriculum due to preoccupation concerning what will come next in the day. Although all of these suggestions provide a better environment for the ASPERGERS pupil, a public school is not a static environment. ASPERGERS pupils, like all others, change teachers each year. 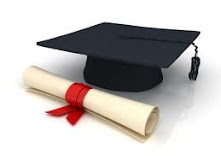 Additionally, there is the requirement of moving from elementary, middle, and high school. These transitions are considered by Adreon and Stella (2001). These researchers recommend a "transition-planning meeting" be scheduled prior to such transitions taking place. (p. 271). This meeting allows the previous instructor to educate the incoming teacher on successful strategies as well as provide general education on the characteristics of ASPERGERS. The pupil should be orientated as well. Allowing the pupil extra time to become familiar with a new environment will prevent unnecessary stress during transition. Once the environment has been considered, other instructional strategies can be implemented. One approach to education widely used is the Treatment and Education of Autistic and related Communication-handicapped Kids program. It is referred to as TEACCH. Ozonoff, Dawson, & McPartland (2002) describe this method as a way to build upon the ASPERGERS youngster's memory strengths. Many pupils display these memory skills in their ability to remember large quantities of information on subjects they are interested in. A youngster may, for example, become fascinated with trains and be able to offer as much detail as an expert in the field. Cumine et al., (1998) indicate that TEACCH has 4 main elements. These elements include the physical structure of the classroom, a visual schedule of the day's activities, an explanation of the type and length of the work expected, and instructions presented visually in addition to verbally. These strategies are considered by the researchers to provide "scaffolding" for the ASPERGERS pupil. (p. 35). Ozonoff, et al., (2002), elaborate on the suggestion of visual signs for the ASPERGERS pupil. The research claims that visual instructions and schedules help the pupil to feel more secure and less stressed so the mind can direct its attention to learning. Because these pupils have difficulty learning in a traditional manner, depression can ensue. The capability to acquire information is present but performance is hindered. A depressed pupil will undoubtedly have some kind of academic struggles. For these pupils, depression is just one more barrier to education. Just as Ozonoff et al., (2002) suggest that the pupil's strengths be maximized, Shevitz, Weinfeld, Jeweler, and Barnes-Robinson (2003) suggest a program that accomplishes the idea of maximizing pupil's strengths as well as increasing self esteem by using the pupil's preoccupation with one individual topic. Shevitz et al., (2003) describe a mentoring program called "Wings Mentor Program". The authors explain how current statistics show there is approximately one Gifted/Learning Disabled (G/LD) pupil in each classroom. This was the motivation to establish the Mentor Program. The program was piloted in 1989. The results indicate, "that the mentor program improves pupils' self-concept, positively changes others' perceptions of them, and promotes their overall motivation in the classroom." (Shevitz, et al., 2003, p. 42). "These are the pupils who, also able to participate actively in a class discussion, are unable to write a complete sentence. They are the pupils who rarely have homework completed, or if done, cannot find it. They are light years ahead in math, but reading below grade level. These same pupils may not only be able to program the computer, but they may be able to take it apart completely and put it back together again. Ask them about the Civil War, DNA cloning, lasers, or ancient civilizations and you might be bombarded with information and unique insights. Ask them to write about the same topic and they may produce little or nothing." (Shevitz, et al., 2003, p. 37). The program attempts to remedy this problem by coupling a mentor with a pupil. 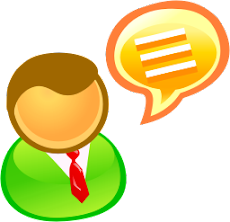 A topic is selected and for 8 weeks the mentor meets with the pupil for one hour each week. The pupils can choose to study an area that is a source of preoccupation. At the end of the 8 weeks the class or school hosts a show-off night where the pupils share their project. This could also replace the traditional research projects that are done at the elementary school level. Pupils are filled with pride in the ability to impress moms and dads and peers with presentations. This program is a very effective method of instruction for pupils with ASPERGERS. It is effective because these kids are usually bright but frustrated with traditional education environments. This program offers the opportunity to be excited about learning as well as the chance to learn about individual abilities and how these abilities can be applied to the classroom environment in which they learn. Barnhill (2001) provided further encouragement for programs allowing pupils to exhibit knowledge. This research elucidates such opportunities give the ASPERGERS pupil's peers a reason to appreciate and respect ASPERGERS classmates. This argument is valuable from a social and educational perspective. Similar to the mentor program, Safran (2002) recommends a one-to-one aide or shadow. The assistance of a shadow can keep the ASPERGERS pupil on task as well as serving as an interpreter in social settings. It is noted in the report there is no real evidence to support the notion this type of aide is effective. Like most strategies, it works for some pupils and is less effective with others. As previously mentioned, curriculum education is not the only education a AS pupil encounters in the public school system. Social behaviors are not only necessary for successful playground interaction, they are necessary for successful acquisition of educational curriculum. This was previously mentioned in the example of group projects being problematic for an ASPERGERS pupils due to the social element involved. Myles and Simpson (2001) have entitled this aspect of education "The Hidden Curriculum". (p. 279). The "Hidden Curriculum" suggests an aspect of learning that is not obvious to pupils with ASPERGERS. This aspect of learning includes the basic how -to's of living. These are things that other pupils seem to just know. The social know-how that tells most people what is inappropriate conversation material may be foreign to an ASPERGERS pupil. 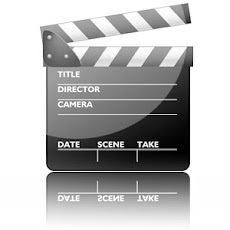 The investigators (2001) put forward teachers instructing pupils struggling in this realm through the use of "scope and sequence, direct instruction, social stories, acting lessons, and self-esteem building." (p. 283). Social stories and acting lessons give examples of proper actions in given public settings. 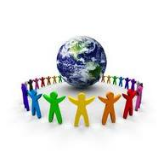 Middle school and high school settings present new social challenges for the ASPERGERS pupil. Gagnon and Robbins (2001) address the craziness these pupils encounter during classroom transitions. Passing periods are a desirable time of socializing for most pupils. For the ASPERGERS pupil, passing periods are a social zoo. The researchers advocate allowing the pupil to leave 5 minutes early in order to avoid the overwhelming social interaction. Without such options, the ASPERGERS pupil could possibly spend most of the next class trying to recover from the distressing sensory overload experience. Often frustration can develop from a lack of understanding that these pupils are unable to generalize the skills that they learn. For example, a parent or instructor might work at teaching the pupil how to respectfully address a teacher. Typically this skill would then be generalized to any person in a position of authority. A pupil with ASPERGERS is likely to only apply the skill to the person initially used as the target of respect in the learning process. He or she will probably not apply this behavior to a yard supervisor, principal, or law enforcement officer. Understanding this inability to generalize will elevate frustration on the part of instructors. There are additional techniques that have used in assisting pupils to learn to generalize. Myles and Simpson (2001) suggest that modes of instruction such as "scope and sequence" (p. 283) can be useful in equipping pupils with the skills that assist in social and academic learning as well as generalization. The authors (2001) define scope and sequence training as teaching the pupil about the basics prior to expecting the generalized rules to be learned. They give the example of teaching a pupil the tone of a person's voice sends a message prior to teaching the youngster they should use a tone that is respectful to others. Due to the difficulty these pupils have with generalization, failing to teach the basics will further enhance their inability to generalize. The inability to generalize can also pose a problem in classroom assignments. According to Jackson (2002), a youth author with ASPERGERS, giving the direction to open a math book to a certain page does not communicate to additionally begin solving the problems. The author instructs educators to verbally give all the steps necessary to complete an assignment rather than assuming ASPERGERS pupils will know what comes next. It is clear from the teaching strategies outlined in this project, that similar to pupils without ASPERGERS, pupils with this pervasive developmental disorder are unique and require different techniques and approaches in their educational experience. Every pupil has unique abilities and struggles. This is true of ASPERGERS pupils as well. There are two conclusions that can be drawn from the research done in this project. First, it is of the utmost importance that the instructor understands what ASPERGERS is and how it hinders pupils. Without a clear understanding of this disorder, the instructor will not understand the pupil. Actions that are clearly a part of the syndrome can be confused with behavioral issues and dealt with inappropriately. Secondly, the instructor must educate his/herself on effective teaching strategies. An outstanding method of continuing education is collaboration among educators. In research conducted by Hunt, Soto, Maier, and Doering (2003), a Unified Plans of Support (UPS) team is studied. At risk pupils who had a UPS team meeting once a month to strategize and reevaluate existing plans intended to assist each pupil climbed in measured test scores. The IDEA Act is clear in its declaration that pupils must be placed in the least restrictive environment possible in an effort to provide them with the best education possible. This can only be achieved by means of evaluation by instructors as to the effectiveness of their chosen teaching strategies and a willingness on the part of educators to continue to learn new techniques of instruction. All of these strategies are helpful and potentially vital to the education of ASPERGERS pupils. Inclusive classrooms give them the opportunity to have their intellectual capacity challenged and nurtured. With this opportunity comes the responsibility for educators to learn the strategies necessary for the success of these pupils. "Inclusion is more than a set of strategies or practices, it is an educational orientation that embraces differences and values the uniqueness that each learner brings to the classroom." (Kluth, 2003. p. 23-24). With the diversity existing in the classroom, knowledge of these strategies will better prepare the educator to meet the academic and social needs of all pupils. The basic principles that prove effective with pupils outside the ASPERGERS group work for those within. Every youngster needs to be evaluated, have a plan established addressing areas of weakness, and most importantly have an instructor that believes in the pupil and expects him/her to reach appropriate grade level requirements. Instructors who are willing to learn and implement new strategies will provide the best education for all pupils. Kids diagnosed with Aspergers (AS) present a special challenge in the educational milieu. Typically viewed as eccentric and peculiar by classmates, their inept social skills often cause them to be made victims of scapegoating. Clumsiness and an obsessive interest in obscure subjects add to their "odd" presentation. Kids with ASPERGERS lack understanding of human relationships and the rules of social convention; they are naive and conspicuously lacking in common sense. Their inflexibility and inability to cope with change causes these individuals to be easily stressed and emotionally vulnerable. At the same time, kids with ASPERGERS (the majority of whom are boys) are often of average to above-average intelligence and have superior rote memories. Their single-minded pursuit of their interests can lead to great achievements later in life. Naturally, not all kids with ASPERGERS are alike. Just as each youngster with ASPERGERS has his or her own unique personality, "typical" AS symptoms are manifested in ways specific to each individual. As a result, there is no exact recipe for classroom approaches that can be provided for every youngster with ASPERGERS, just as no one educational method fits the needs of all kids not afflicted with ASPERGERS. Following are descriptions of seven defining characteristics of Aspergers, followed by suggestions and classroom strategies for addressing these symptoms. (Classroom interventions are illustrated with examples from my own teaching experiences at the University of Michigan Medical Center Child and Adolescent Psychiatric Hospital School.) These suggestions are offered only in the broadest sense and should be tailored to the unique needs of the individual pupil with ASPERGERS. • Kids with ASPERGERS tend to be reclusive; thus the teacher must foster involvement with others. Encourage active socialization and limit time spent in isolated pursuit of interests. For instance, a teacher's aide seated at the lunch table could actively encourage the youngster with ASPERGERS to participate in the conversation of his or her peers not only by soliciting his or her opinions and asking him questions, but also by subtly reinforcing other kids who do the same. • Older pupils with ASPERGERS might benefit from a "buddy system." The teacher can educate a sensitive nondisabled classmate about the situation of the youngster with ASPERGERS and seat them next to each other. The classmate could look out for the youngster with ASPERGERS on the bus, during recess, in the hallways and so forth, and attempt to include him or her in school activities. Kids with ASPERGERS have eccentric preoccupations or odd, intense fixations (sometimes obsessively collecting unusual things). They tend to relentlessly "lecture" on areas of interest; ask repetitive questions about interests; have trouble letting go of ideas; follow own inclinations regardless of external demands; and sometimes refuse to learn about anything outside their limited field of interest. • Teachers must be alert to changes in behavior that may indicate depression, such as even greater levels of disorganization, inattentiveness, and isolation; decreased stress threshold; chronic fatigue; crying; suicidal remarks; and so on. Do not accept the youngster's assessment in these cases that he or she is "OK"
Kids with Aspergers are so easily overwhelmed by environmental stressors, and have such profound impairment in the ability to form interpersonal relationships, that it is no wonder they give the impression of "fragile vulnerability and a pathetic childishness" (Wing, 1981, p. 117). Everard (1976) wrote that when these youngsters are compared with their nondisabled peers, "one is instantly aware of how different they are and the enormous effort they have to make to live in a world where no concessions are made and where they are expected to conform" (p.2). 1. An increase in unusual or difficult behaviors probably indicates an increase in stress for the Aspergers pupil. Sometimes stress is caused by feeling a loss of control. Many times the stress will only be alleviated when the pupil physically removes himself from the stressful event or situation. If this occurs, a program should be set up to assist the pupil in re-entering and/or staying in the stressful situation. When this occurs, a "safe-place" or "safe-person" may come in handy. 2. Do not take misbehavior personally. 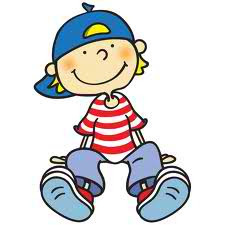 The high-functioning person with Aspergers is not a manipulative, scheming person who is trying to make life difficult. They are seldom, if ever, capable of being manipulative. Usually misbehavior is the result of efforts to survive experiences which may be confusing, disorienting or frightening. People with Aspergers are, by virtue of their disability, egocentric. Most have extreme difficulty reading the reactions of others. 3. People with Aspergers have problems with abstract and conceptual thinking. Some may eventually acquire abstract skills, but others never will. When abstract concepts must be used, use visual cues, such as drawings or written words, to augment the abstract idea. Avoid asking vague questions such as, "Why did you do that?" Instead, say, "I did not like it when you slammed your book down when I said it was time for gym. Next time, put the book down gently and tell me you are angry. Were you showing me that you did not want to go to gym, or that you did not want to stop reading?" Avoid asking essay-type questions. Be as concrete as possible in all your interactions with these pupils. 4. People with Aspergers have trouble with organizational skills, regardless of their intelligence and/or age. Even a "straight A" pupil with Aspergers who has a photographic memory can be incapable of remembering to bring a pencil to class or of remembering a deadline for an assignment. In such cases, aid should be provided in the least restrictive way possible. Strategies could include having the pupil put a picture of a pencil on the cover of his notebook or maintaining a list of assignments to be completed at home. Always praise the pupil when he remembers something he has previously forgotten. Never denigrate or "harp" at him when he fails. A lecture on the subject will not only NOT help, it will often make the problem worse. He may begin to believe he cannot remember to do or bring these things. These pupils seem to have either the neatest or the messiest desks or lockers in the school. The one with the messiest desk will need your help in frequent cleanups of the desk or locker so that he can find things. Simply remember that he is probably not making a conscious choice to be messy. He is most likely incapable of this organizational task without specific training. Attempt to train him in organizational skills using small, specific steps. 6. Assume nothing when assessing skills. For example, the individual with Aspergers may be a "math whiz" in Algebra, but not able to make simple change at a cash register. Or, he may have an incredible memory about books he has read, speeches he has heard or sports statistics, but still may not be able to remember to bring a pencil to class. Uneven skills development is a hallmark of Aspergers. 7. Avoid verbal overload. Be clear. Use shorter sentences if you perceive that the pupil does not fully understanding you. Although he probably has no hearing problem and may be paying attention, he may have difficulty understanding your main point and identifying important information. 8. Be aware that normal levels of auditory and visual input can be perceived by the pupil as too much or too little. For example, the hum of florescent lighting is extremely distracting for some people with Aspergers. Consider environmental changes such as removing "visual clutter" from the room or seating changes if the pupil seems distracted or upset by his classroom environment. 9. Behavior management works, but if incorrectly used, it can encourage robot-like behavior, provide only a short term behavior change or result in some form of aggression. Use positive and chronologically age-appropriate behavior procedures. 10. Consistent treatment and expectations from everyone is vital. 11. If the pupil does not seem to be learning a task, break it down into smaller steps or present the task in several ways (e.g., visually, verbally, and physically). 12. If your class involves pairing off or choosing partners, either draw numbers or use some other arbitrary means of pairing. Or ask an especially kind pupil if he or she would agree to choose the individual with Aspergers as a partner before the pairing takes place. The pupil with Aspergers is most often the individual left with no partner. This is unfortunate since these pupils could benefit most from having a partner. 13. If your high-functioning pupil with Aspergers uses repetitive verbal arguments and/or repetitive verbal questions you need to interrupt what can become a continuing, repetitive litany. Continually responding in a logical manner or arguing back seldom stops this behavior. The subject of the argument or question is not always the subject which has upset him. More often the individual is communicating a feeling of loss of control or uncertainty about someone or something in the environment. Try requesting that he write down the question or argumentative statement. Then write down your reply. This usually begins to calm him down and stops the repetitive activity. If that doesn't work, write down his repetitive question or argument and ask him to write down a logical reply (perhaps one he thinks you would make). This distracts from the escalating verbal aspect of the situation and may give him a more socially acceptable way of expressing frustration or anxiety. Another alternative is role-playing the repetitive argument or question with you taking his part and having him answer you as he thinks you might. 14. Prepare the pupil for all environmental and/or changes in routine such as assembly, substitute teacher and rescheduling. Use a written or visual schedule to prepare him for change. 15. Remember that facial expressions and other social cues may not work. Most individuals with Aspergers have difficulty reading facial expressions and interpreting “body language”. 16. Since these individuals experience various communication difficulties, do not rely on pupils with Aspergers to relay important messages to their moms and dads about school events, assignments, school rules, etc., unless you try it on an experimental basis with follow-up or unless you are already certain that the pupil has mastered this skill. Even sending home a note for his moms and dads may not work. The pupil may not remember to deliver the note or may lose it before reaching home. Phone calls to moms and dads work best until the skill can be developed. Frequent and accurate communication between the teacher and parent (or primary care-giver) is very important. • Language, self-care skills and adaptive behavior and curiosity about environment show normal development up to 3 years of age. • Qualitative abnormality in reciprocal social interaction and circumscribed interests and repetitive, stereotyped patterns of activities. • Writing creative sentences is difficult. • Put the following in the binder: Assignment Notebook, Take-Home folder, Give to the Teacher folder, Homework folder, Extra’s pocket, labels, reinforcements, paper. 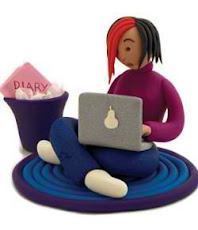 • Pupils with AS need more time than other pupils to learn how to keep track of work, due dates, notes, etc. • Take to school and home every day! • Let him be red and explain to the others that maybe next time he can let someone else be red, but it is too hard to change today. • If the argument persists then you can either give in or let him wait until it is his turn to be RED. • Announce that we can either argue for a long time or play. Which would you rather do? • Are you having fun yet? • Whoever “compromises” gets a star. • Teach the rule: If you compromise, you are doing right. • Compromise means letting the other guy have his way. • If you let the other guy have his way, you get a point. • They turn the other kids off by being bossy, controlling and judgmental. • They lose a point (or a turn) for teasing criticizing another youngster. • They get extra points for saying something nice. If the youngster starts out saying several nice things, he is not teased as much. • Find a time to meet regularly, usually once a week. • Have the youngster participate in the decisions. • Rehearse game protocol in individual sessions. • Select 3 or 4 kids who are compatible in age and language level and interests. • Start by saying that we will make a list of activities for the day. • First they sit at the table. • Then the list is written (or pictured) and activities are crossed off as they are finished. • At the end we often summarize the activities emphasizing the good behaviors they displayed. What Do They Do When They Play? Teach Rule: Sometimes You Win, Sometimes You Lose. Teach Rule: Say Things That Invite A Response – Talk To Make Friends. Teach Rule: Say Two Things and Then Ask A Question. Teach Rule: Look At Your Listener. Learn What The Other Person Is Feeling. • The key to academic and social success for pupils with Aspergers is TEAM WORK! • Adreon, D., & Stella, J. (2001). Transition to Middle and High School: Increasing the Success of Students with Asperger Syndrome. Intervention in School & Clinic, 36 (5), 266-278. Retrieved January 6, 2005 from www.questia.com. • American Psychiatric Association. (2003). Diagnostic and Statistical Manual of Mental Disorders. Arlington, VA: American Psychiatric Association. • American Psychiatric Association.(1994. Diagnostic and Statistical Manual of Mental Disorders(4th ed.) Washington, DC: Author. • Anderson, W., Chitwood, S., & Hayden, D. (1997). Negotiating the Special Education Maze. Bethesda, MD: Woodbine House, Inc.
• Asperger, H. (1991). Autistic psychopathology in childhood. In U.Frith (Ed. ), Autism and Asperger syndrome(pp.37-92). Cambridge,England: Cambridge University Press. • Barnhill, G. (2002). What's New in AS Research: A Synthesis of Research Conducted by the Asperger Syndrome Project. Intervention in School & Clinic, 36 (5), 300-309. Retrieved January 4, 2005 from www.questia.com. • Bashe, P. & Kirby, B. (2001). The OASIS Guide to Asperger Syndrome. New York, New York: Crown Publishers. • Butcher, J., Mineka, S., & Hooley, J. (2004). Abnormal Psychology. Boston, MA: Pearson Education, Inc.
• Cumine, V., Leach, J., & Stevenson, G. (1998). Asperger Syndrome A Practical Guide For Teachers. London, England: David Fulton Publishers. • Dewey, M. (1991). Living with Asperger's syndrome. In U.Frith (Ed. ),Autism and Asperger syndrome (pp. 184-206). Cambridge:, England: Cambridge Unviersity Press. • Everard, M.P. (1976,July).Mildly autistic young people and their problems. Paper presented at the International Symposium on Autism, St. Gallen, Switzerland. • Gagon, E., & Robbins, L. (2001). Ensure Success for the Child with Asperger Syndrome. Intervention in School & Clinic, 36 (5), 306-308. Retrieved January 4, 2005 from www.questia.com. • Happe, F.G.E.(1991). The autobiographical writings of three Asperger syndrome adults: Problems of interpretation and implications for theory. In U.Frith (Ed. ),Autism and Asperger Syndrome (pp.207-242). Cambridge, England: Cambridge University Press. • Hunt, P., Soto, G., Maier, J., Doering, K. (2003). Collaborative Teaming to Support Students at Risk and Students with Severe Disabilities in General Education Classrooms. Exceptional Children, 69 (3), 315 – 340. Retrieved January 6, 2005 from www.questia.com. • Jackson, L. (2002). Freaks, Geeks & Asperger Syndrome: A User Guide to Adolescence. London, England: Jessica Kingsley Publishers Ltd.
• Kluth, P. (2003). You're Going To Love This Kid! Teaching Students with Autism in The Inclusive Classroom. Baltimore, MD: Paul H. Brooks Publishing Co.
• Myles, B., & Simpson, R. (2001). Understanding the Hidden Curriculum: An Essential Social Skill for Children and Youth with Asperger Syndrome. Intervention In School & Clinic, 36 (5), 279-291. Retrieved April 7, 2004 from www.questia.com. • Ozonoff, S. PhD., Dawson, G. PhD., & McPartland, J. (2002). 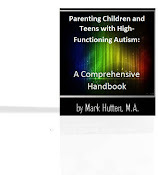 A Parent's Guide to Asperger Syndrome & High-Functioning Autism. New York, NY: The Guilford Press. • Sacks, O. (1993, December 27). An anthropologist on Mars. The New Yorker, 106- 125. • Safran, J. (2002). 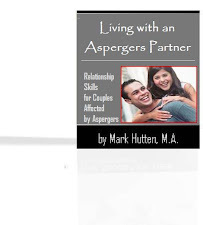 A Practitioner's Guide to Resources on Asperger's Syndrome. Intervention in School & Clinic, 37 (5), 283-298. Retrieved January 6, 2005 from www.questia.com. • Safran, J. (2002). Supporting Students with Asperger's Syndrome in General Education. TEACHING Exceptional Children, 34 (5), 60-66. Retrieved November 13, 2004 from www.questia.com. • Shevitz, B., Weinfeld, R., Jeweler, S., & Barnes-Robinson, L. (2003). Mentoring Empowers Gifted/Learning Disabled Students to Soar! Roeper Review, 26 (1), 37-48. Retrieved April 13, 2004 from www.questia.com. • Shore, S. (2002). Understanding the Autism Spectrum—What Teachers Need To Know. Intervention in School & Clinic, 36 (5), 293-305. Retrieved January 4, 2005 from www.questia.com. • Siegel, B. (1996). The World of the Autistic Child. New York, NY: Oxford University Press. • Siegel, B. (2003). Helping Children with Autism Learn. New York, NY: Oxford University Press. • Strosnider, R., Lyon, C., & Gartland, D. (1997). Including Students with Disabilities into the Regular Classroom. Education, 117 (4), 611-622. Retrieved January 6, 2005 from www.questia.com. • Williams, K. (2001). Understanding the Student with Asperger Syndrome: Guidelines for Teachers. Intervention in School & Clinic 36 (5), 287-298. Retrieved November 10, 2004 from www.questia.com. • Wing, L. (1981). Asperger's syndrome: A clinical account. Psychological Medicine 11, 115-129. • Wing, L. (l991). The relationship between Asperger's syndrome and Kanner's autism. In U. Frith (Ed. ), Autism and Asperger syndrome (pp. 93-121). Cambridge, England: Cambridge University Press.